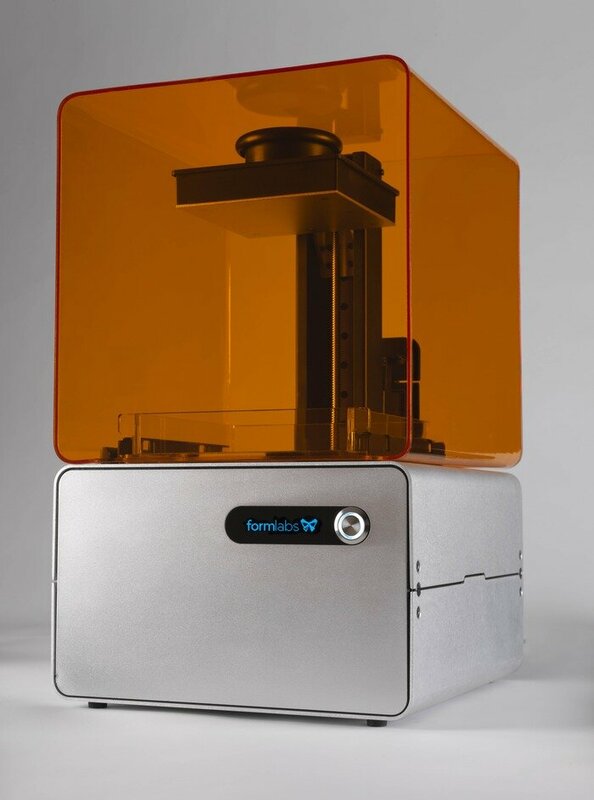 We’ve been anxiously awaiting the announcement of the new 3D printer from Formlabs, and they’ve gone public with it today, and it looks to be a huge game changer. While it’s been through many betas and an alpha, It’s still not a ready-to-sell model, though. They’ve still got work to do on it but preorders are being taken for the new “Form 1” on crowdsourcing site Kickstarter as they accept pledges towards their $100,000 funding goal. As I wrote that last paragraph, the amount already pledged on Kickstarter went from somewhere in the ninety thousands to over $110,000. Phenomenal. I can’t wait to see what it’s risen to once I’ve published this piece. I’ll update you at the end. So what is causing all the fuss? After all, Kickstarter has had plenty of 3D printers on the site. This baby is different– it’s what you get and just who is behind the project. The Form 1 is an extremely high-resolution 3D printer that uses stereolithography technology, which is normally found on very high-end machines. Some other crowdsourced projects have or are in the process of building similar printers, but are not receiving the interest this printer has, and that’s due to the founders involved in this project, their commitment to the project, and the low price for the amazing accuracy and resolution of the printer. 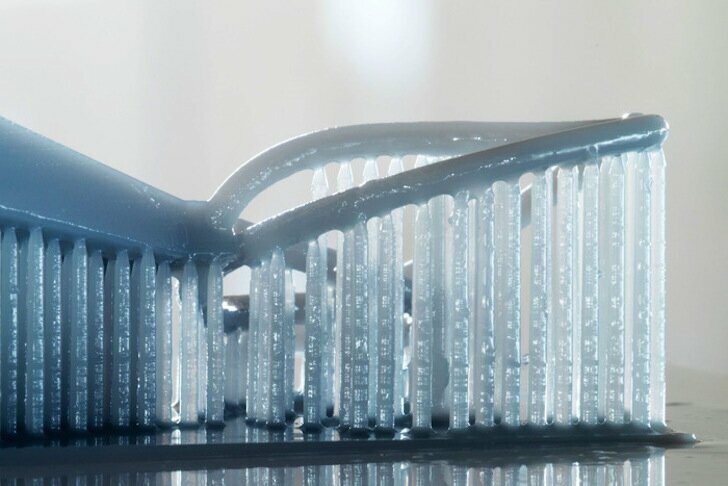 Stereolithography (SL) offers considerably higher resolution than what is usually found in 3D printers in the same price range, by a factor of about 4-20 times, depending on models. Rather than extruding molten material such as plastic, SL uses a laser to draw on a thin layer of liquid plastic resin, which hardens the resin; this process is continued, layer upon layer until the entire object is complete and pulls out of the resin vat. The build area is a bit disappointing at 125 x 125 x 165 mm (4.9 x 4.9 x 6.5 in), but you can’t have everything right from the start. Not for just $2,299. Yes, that’s the price for the Form 1 3D printer, including a liter of resin. Damn cheap. You can also choose other, higher price levels to get an earlier delivery if you wish. But you get more than the 3D printer. You get custom software, created just for the Form 1, software that is designed to be as close to a few click event as possible. It will import any STL file from any 3D CAD program, and automatically generate smart support structures for complex geometries, and then send the job to the printer. The support structures, which are easily removed after the print, allow the user to print models with extreme overhangs. The Form 1 software generates support structures for overhangs. As I said, the team behind this printer is part of what is really selling it. It’s a powerful and connected trio, and not only does this inspire confidence in the actual printer, but from my perspective, at least, it inspires confidence in the company going forward. Formlabs is founded by Natan Linder, Maxim Lobovsky and David Cranor, all with roots at MIT Media Labs. And we’ve seen how many companies have come out of MIT and subsequently thrived. They raised $500,000 from some big investors last year to help them get to where they are now. That might make you wonder why they needed to raise capital on Kickstarter. In my opinion, I’m sure they could have raised more investment capital. But, Kickstarter is an amazing method of launching a product–the free marketing and instant sales that comes with a successful launch simply cannot be purchased elsewhere. With that half a million dollars, they’ve been able to form a team of engineers, testing and improving the Form 1 through seven generations of prototypes, and also a production run of alpha machines. This is a very serious company, and not only are other similarly priced 3D printer makers watching them closely, but I’d bet the big boys are keeping a close eye on them as well. A funded, MIT spinoff, getting this much attention, could be a disruptive force in the industry. 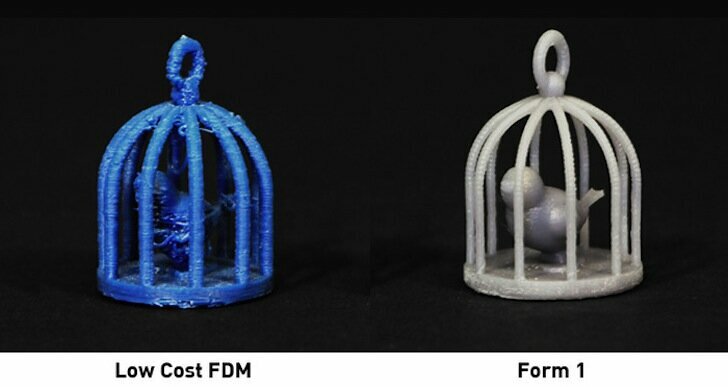 There’s much more to learn about the Form 1 3D printer, and I’m not going to copy it all down here from their pages just to fill out the article. I want you to go over to their Kickstarter page and the Formlabs home page, and check it out for yourself. 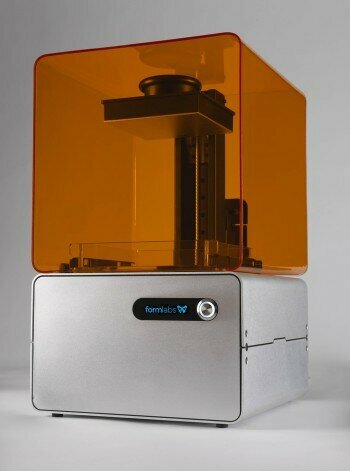 If you don’t end up buying a printer, you can at least get a Formlabs t-shirt for $29. Raised at end of first draft of this article now: $140,619. I’m going to click Publish now, and I see they’ve already raised a whooping $161,257. And there are still 29 days to go. I’d call this a success.